The South West Liver Unit offers a number of outpatient services to manage all aspects of liver disease and its complications. In addition to our general liver service we also provide tertiary level services, complex hepatobiliary surgery and pre and post liver transplant care. Our services are consultant led. They are delivered by consultants, clinical nurse specialists, experienced doctors in specialty training and other allied health professionals. During your clinic visit you may meet different members of our multidisciplinary team. In addition to our hospital based clinics we also provide telephone / virtual clinics, community clinics, domiciliary reviews and a nurse led telephone helpline service. Our outpatient department has a phlebotomy service available and there is a Lloyd’s pharmacy accessible from the outpatient department. A translator service for those patients where English is not their first language or who are hearing impaired is available, as is involvement from our learning disabilities team for patients who may benefit from their support. General advice about the outpatient department and other frequently asked questions can be found on Your Outpatient Appointment page. Most of our clinics have Fibroscan technology available if needed. We are also introducing the Critical Flicker Frequency Test for assessment of hepatic encephalopathy (confusion related to liver disease) for our patients with cirrhosis. Many of our clinics provide teaching and training for doctors and medical students, supervised by a Consultant. Please let a member of staff know if you do not wish to have the medical student present or be seen by a doctor in training. These clinics see new and follow-up patients with a wide variety of liver and / or biliary diseases. This clinic sees patients who are in the first few weeks post liver transplant or those on the wait list for liver transplant. We run a joint clinic with King’s College London Liver team every four months. This clinic sees patients who have been referred for liver transplant assessment or for discussion about more complex therapies and interventional procedures. These clinics are rapid access clinics to see and assess patients with jaundice. Patients will have an ultrasound and blood tests on the same day prior to being reviewed. The booking letter will detail where you should attend. These clinics see patients being assessed and treated for viral hepatitis. We also provide joint clinics for patients co-infected with viral hepatitis and HIV in the GU medicine department. These clinics see patients at risk of developing liver cancer. This clinic sees patients recently discharged from the ward to manage medications and any complications since discharge. It facilitates earlier discharge from the ward and prevents early readmissions. This clinic is set up to discuss in depth the individual wishes and expectations of patients with end stage liver disease. This clinic sees patients who are organised for procedures by the SWLU team to ensure that medications and blood tests are reviewed and that any questions can be answered. Fibroscan is a technology used to assess the stiffness of the liver, which helps us to assess whether scarring is likely to be present or not. This dedicated clinic sees patients who only need to have a Fibroscan e.g. to monitor patients on Methotrexate. 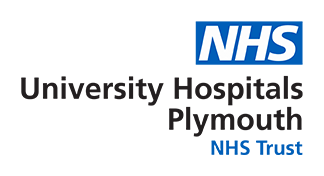 Currently we offer outreach clinics at our local Prison HMP Dartmoor and community drug and alcohol service (Harbour). This clinic happens every three months to help patients move from paediatric care to adult care. It is run by us and our paediatric colleagues. We continue to develop our service and work to implement ways to improve your experience. We have initiated one stop clinics, to allow for rapid assessment and treatment where needed, and to reduce the number of visits made to hospital. We are also working with General Practitioners to streamline the referral service for patients with suspected Non-Alcoholic Fatty Liver Disease (NAFLD). We are keen to gain feedback and suggestions to improve our service and recommend patients joining our Patient Participation Group. Patients seeing the Hepatobiliary Team should follow the link to the Peninsula Liver and HPB Cancer Centre. Our clinics are located in Main Outpatient Department (level 6) of the Main Hospital, as detailed on the appointment letter. Very occasionally the clinic may be held elsewhere in the hospital, which will be documented on the appointment letter. The following link will take you to the hospital map. The SWLU team would be grateful if patients who are unable to make appointments please inform us prior, so that we can use the appointment for another patient.